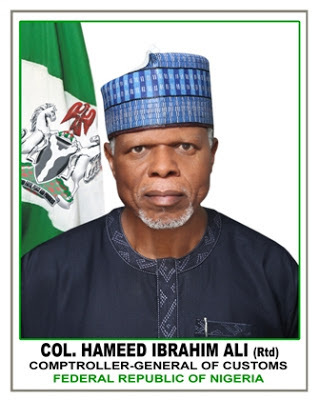 The visit of Comptroller General, Col. Hameed Ali who was represented by the Deputy Comptroller General, John Atte to the commercial nerve centre of the north where he was expected to meet with Stakeholders was shrouded in secrecy by the service which brought about suspicion in the media circle. Reporters who stormed the Kano office of the Customs and Exercise located along Club Road were humiliated by the tall order allegedly handed down by its spokesperson, Duru Emmanuel Okechukwu that prevented them access to the heavily fortified office at Bompai GRA. Stern looking officers at the gate were not ready for a tea party as attempt by Reporters to gain access were contained by the heavily armed guards who successfully bundled no fewer than four Journalists that played a smart game. “We are under strict instructions to keep intruders away, and I’m afraid Reporters are not welcome for this event. “, an Inspector explained. Kano came under spotlight recently following a high profile seizures by the service from Chinese businessmen that was discretely released weeks after. In a swift reaction, Chairman of the Correspondent chapel, Mr Edwin Olofu transmitted a protest letter to Deputy Comptroller, Kano zone over the ill treatment. Olofu demanded the service to investigate the unfortunate incident to forestall re-occurrence.